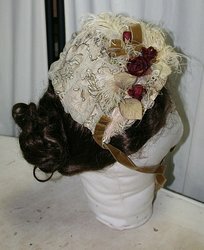 I love hats, especially 1880's vintage hats. 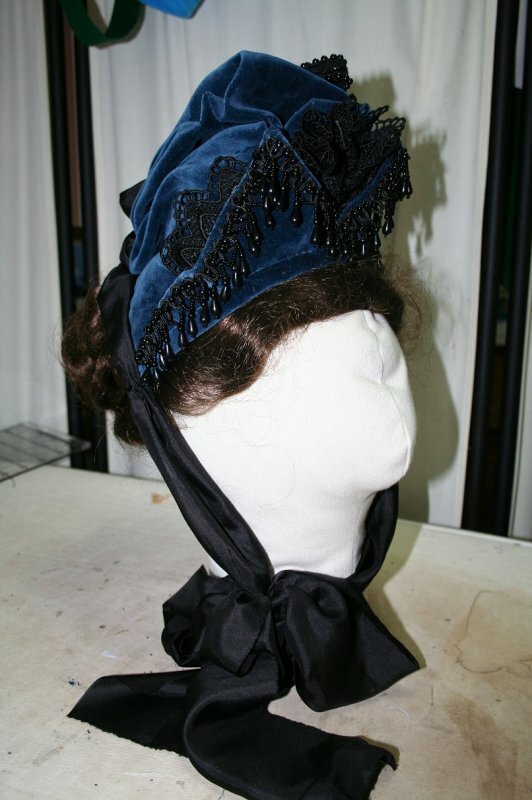 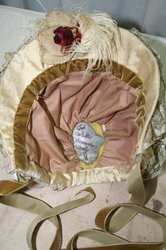 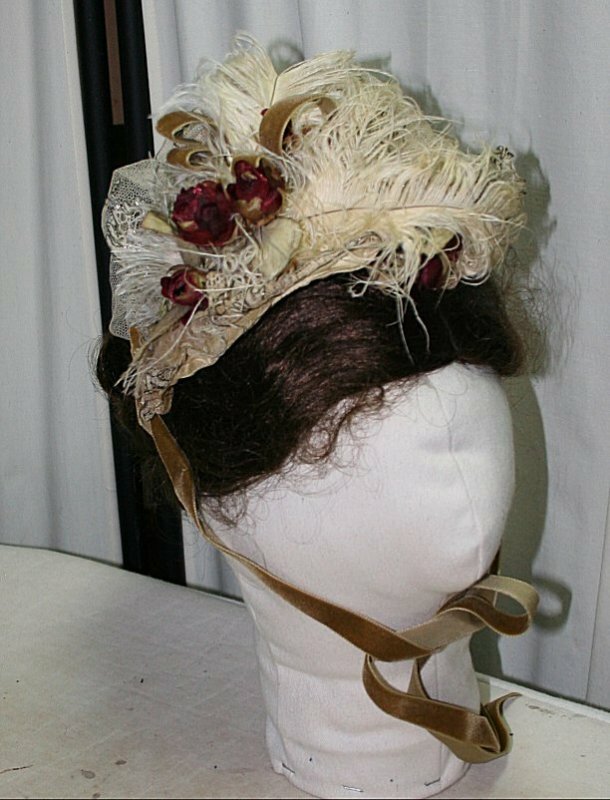 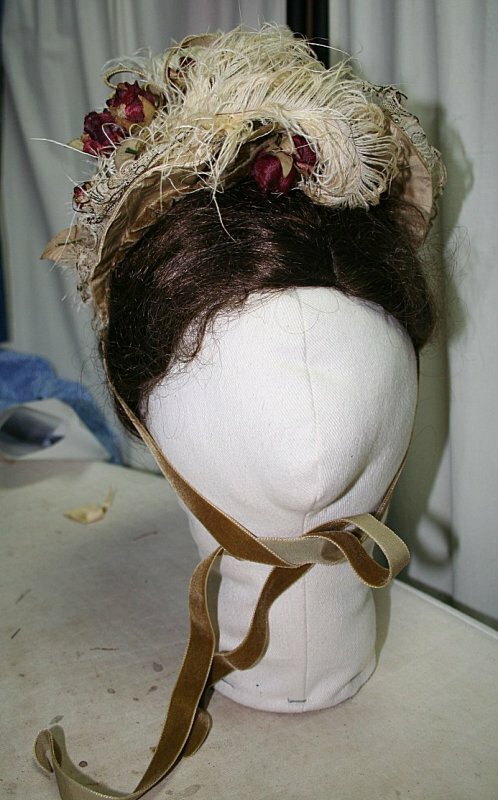 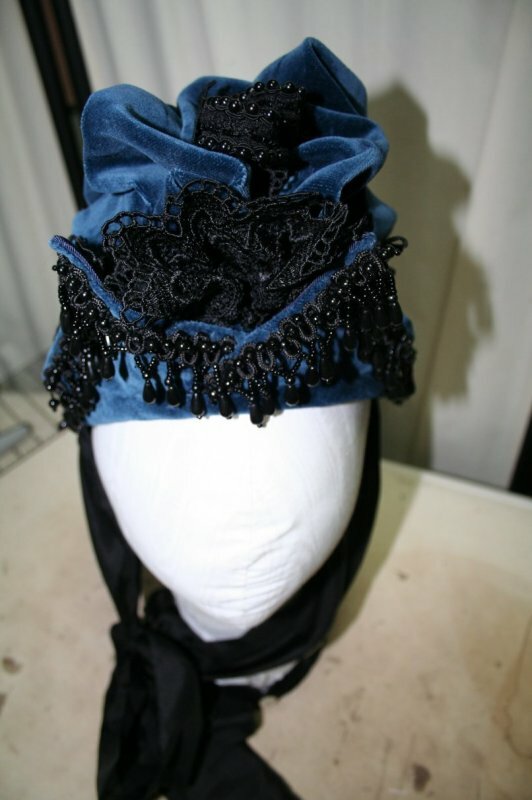 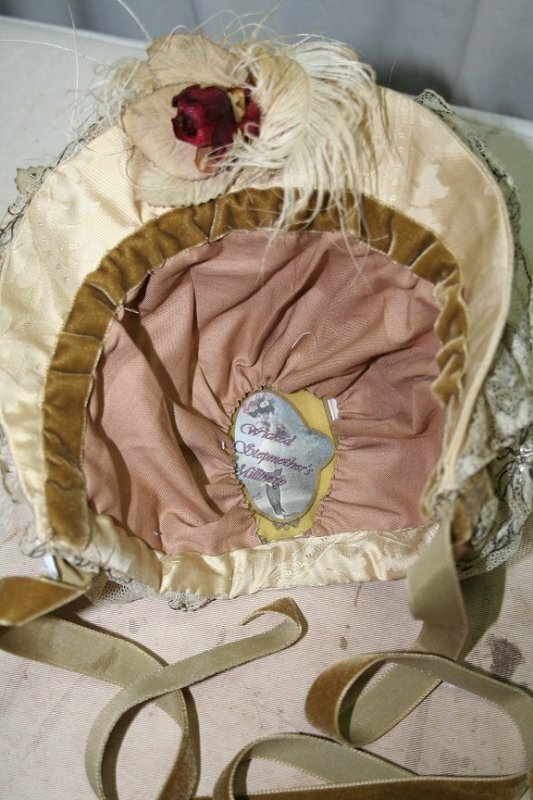 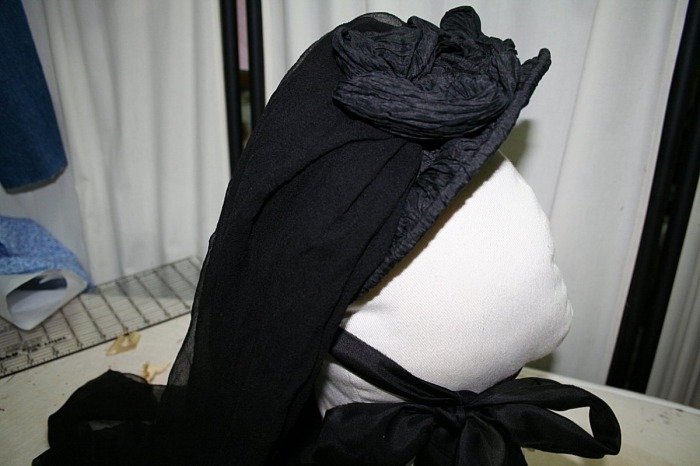 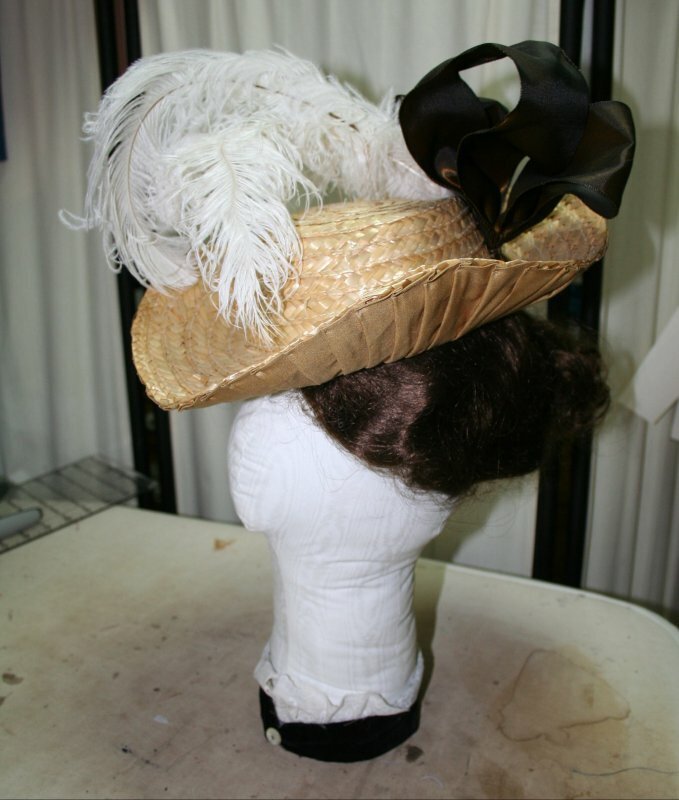 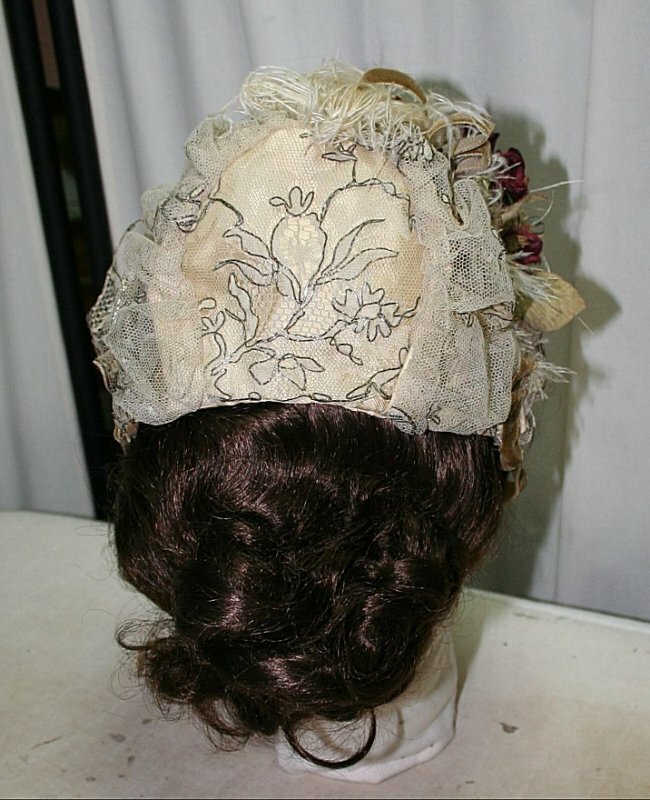 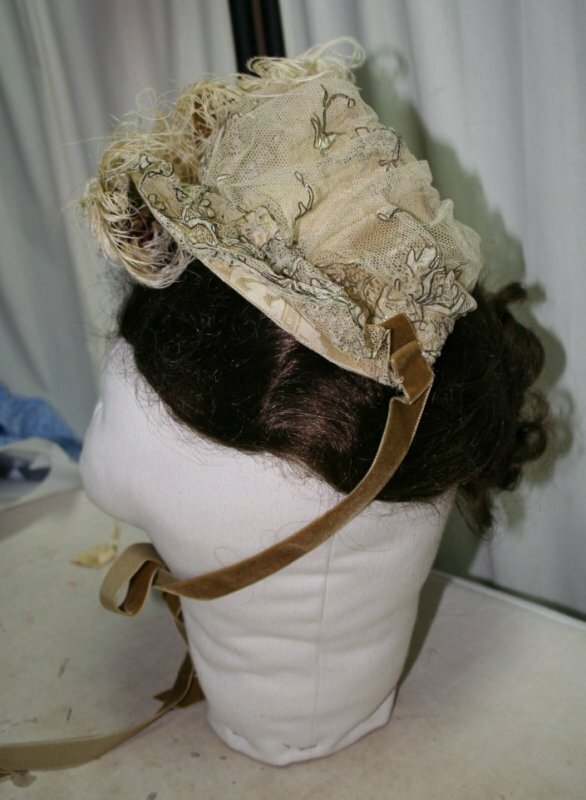 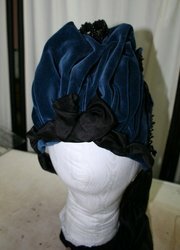 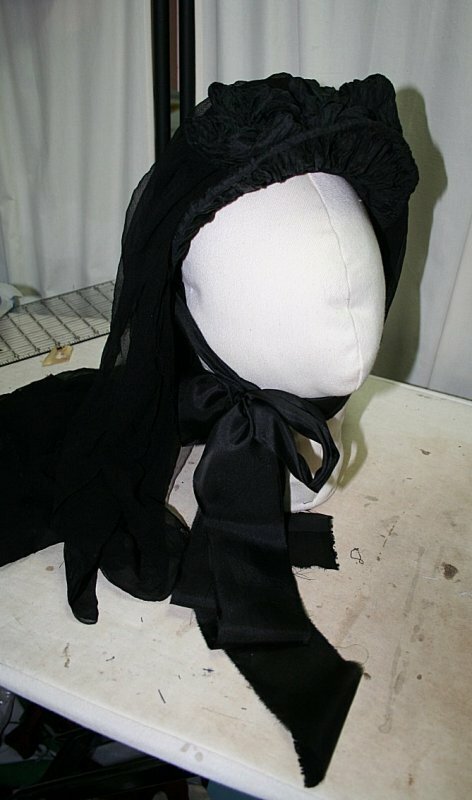 I have created hats from throughout the Victorian and Edwardian periods. 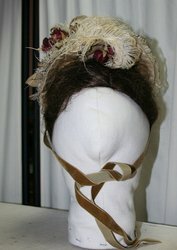 and take GREAT care in detail and research. 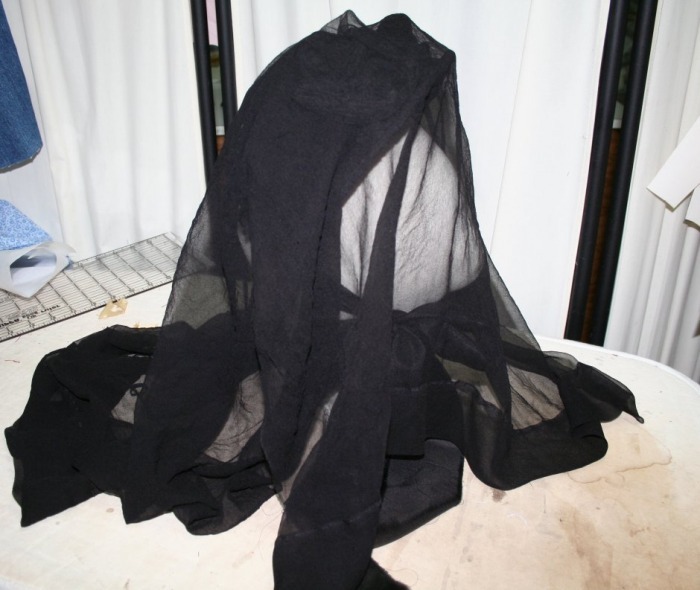 The veil has two layers so one may be brought forward over the face. 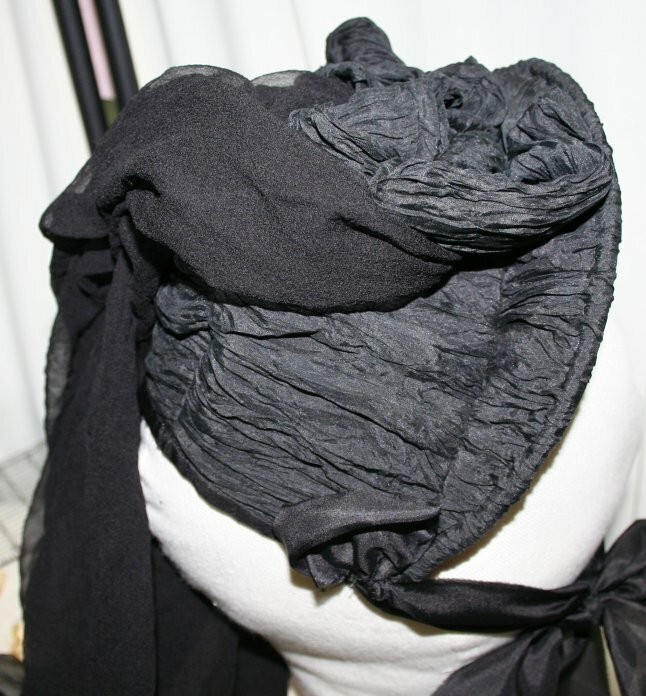 It features wide hems and falls over the shoulders in length. 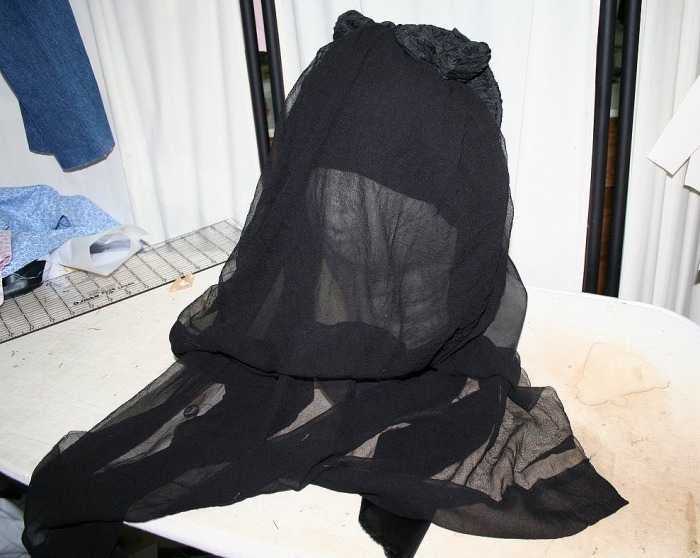 There are a few pinholes in the silk gauze veil that occured during the dying process. These do not detract from the bonnet in the least. 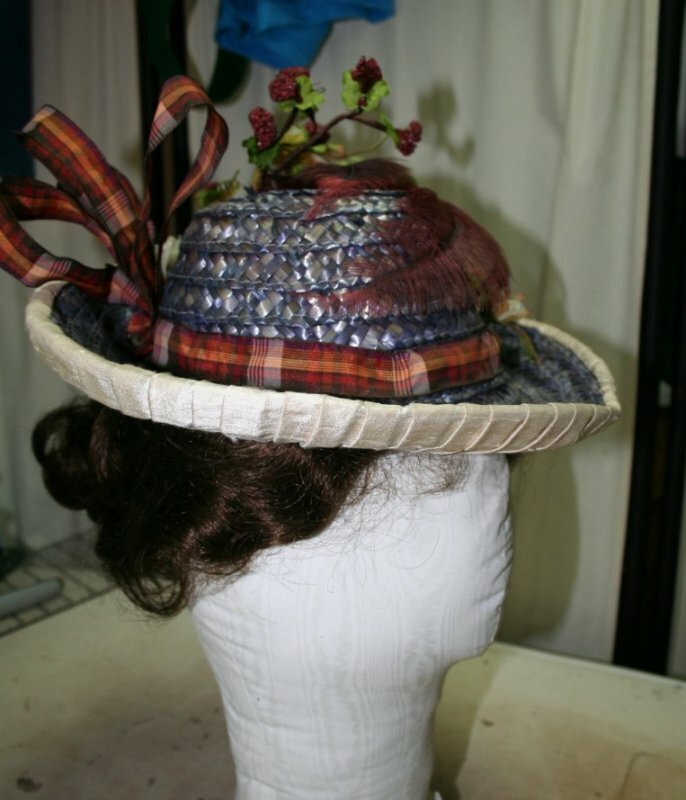 The brim is wired and the edge corded. Close up images below.